The latest details for "Destiny 2" will feature the possible return of the Iron Banner and a new planets added to the sequel. 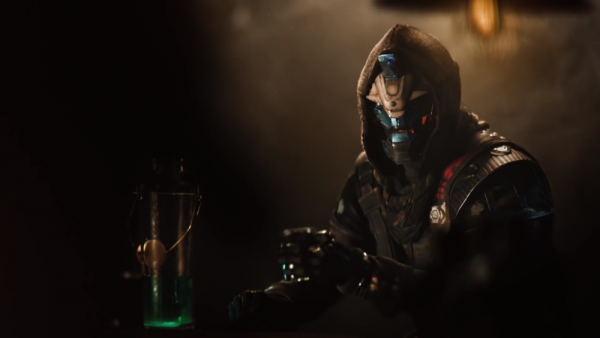 Bungie streamed a new trailer for "Destiny 2" which features all-new locations and planets for the Guardians explore in the sequel. The primary worlds you’ll see in the video below are the European Dead Zone, Nessus, Io, Titan and a solar system that The Traveler touched before the collapse happened. The developers talked about the planets and describe the game environment as one of the biggest they have ever created in "Destiny 2." The visual graphics of each location is impressive as gamers will explore areas with methane oceans and an entire civilization made during the golden age of development is slowly washed away into an unforgiving environment that player's probably should not have colonized in the first place, BleedingCool reported. Meanwhile, it seems that "Destiny 2" will feature the return of the Iron Banner PvP from the first game. Iron Banner differs from "Destiny’s" standard PvP mode, the Crucible as damage modifiers will be based on Guardian's gear level in the game. Players without high-end gear will thus get creamed, effectively making Iron Banner a late-game event, with commensurate rewards. Though not as extreme as "Trials of Osiris," it is a step up from normal Crucible, PCGamesN reported. Previous reports revealed that Bungie will showcase the Archstrider Hunter at 2017 Electronic Entertainment Expo event this month. The Arcstrider is the new Arc-based subclass for the Hunter in "Destiny 2", replacing the Bladedancer subclass from the first game. Virtually nothing is known about the subclass’s abilities, including its perks in "Destiny 2‘s" new “build” system. But the Arcstrider’s Super will him/her summons a staff emblazoned with Arc energy and lets the player engage enemies in close range melee combat with acrobatic attacks. "Destiny 2" is set to launch on Sept. 8, 2017, for the PS4 and Xbox One, while the PC version will be release at a later date. 'Spider-Man' VR Support Happening; Sony Confirms New 'Spidey' Game In E3 2017 Line-Up! 'Destiny 2' Update: New Gameplay to Debut at E3 2017; More Weapon Mods, Power Ammo, Skins Added to the Sequel!